Herbal Tea: Bravo Tea, Pukka Herbs, Uncle Lee's, Choice Organic, Numi! • Herbal Tea Blend No. 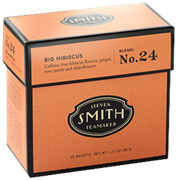 24 Big Hibiscus: The premium of hibiscus teas. Made with luscious Red Hibiscus with Indian Sarsaparilla, Ginger, Pink Rose Petals, and Elderflowers from Europe. Deep red, complex, slightly different and caffeine free, this tea almost needs a corkscrew. 15 Tea Bags. ORDER TODAY! Ingredients: Hibiscus Flowers, Indian Sarsaparilla Root, Ginger Root, Natural Flavors, Rose Petals, Elderflowers and Lemon Myrtle. • Herbal Tea Blend No. 67 Meadow: A caffeine free combination of golden Egyptian Chamomile flowers and mildly invigorating, aromatic Hyssop joined with smooth Cape Rooibos, Rose Petals and Linden Flowers. You may need a sun hat. 15 Tea Bags. ORDER TODAY! • Herbal Tea Blend No. 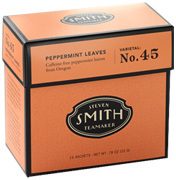 45 Peppermint Leaves: It's no secret that the world's best Peppermint comes from the Pacific Northwest. Gently hand-screened for ideal leaf size, it saturates a full, creamy flavor with well-defined chocolate notes and a deep finish. A great after dinner treat or midday breath freshener. 15 Tea Bags. ORDER TODAY! Ingredients: Peppermint leaves from the Pacific Northwest. • Herbal Tea Blend No. 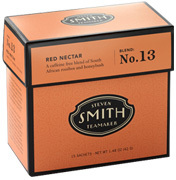 13 Red Nectar: An appetizing, caffeine free brew of Rooibos, also known as red bush, from Clanwilliam in South Africa, balanced with succulent Honeybush and a bit of natural Orchard fruit flavor. Lightly sweet, medium-bodied and highly drinkable, hot or chilled. 15 Tea Bags. ORDER TODAY! Ingredients: Rooibos and honeybush from South Africa and natural fruit flavors. TEA: Herbal Tea, 15 ct.
Herbal Tea is a botanical blend made from dried herbs, flowers, roots, fruits or leaves not of the tea plant. For this reason they are also known as herbal infusions or tisanes, and are often enjoyed as caffeine-free alternatives to tea. • Herbal Tea Acai Berry: Valued for its healthful benefits, luxurious Brazilian Acai Berry is blended with antioxidant rich South African Rooibos and enriched with the bright lively notes of Lemon Grass, Mandarin Orange and juicy Peach. Hibiscus flowers from Egypt create a naturally sweet and nourishing cup rich in health promoting properties. Embossed recyclable air tight tin. 22 Eco Friendly Tea Sachets. 2.33 oz. ORDER NOW! Ingredients: Fair Trade Certified South African Rooibos, Hibiscus, Rosehips, Lemongrass, Acai Berries, Licorice Root, Orange Peel, Essential Oil of Mandarin, Natural Peach Flavor. Ingredients: Native to France and the Western Mediterranean, Lavender is renowned for its calming effect and for its use to soothe an upset stomach. Blended antioxidant rich South African Rooibos with organic garden grown Lavender blossoms to steep a most relishing and relaxing tea.. Fill kettle with fresh spring water and bring to a rolling boil. Pour water over 1 sachet and infuse for 3–5 minutes. Indulge. Relax. 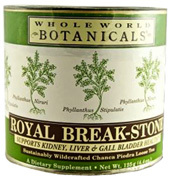 • Royal Break-Stone Tea: Wildcrafted Chanca Piedra Loose Tea supports kidney, liver and gall bladder health. Traditionally used by the people of the Amazon River Basin to support the health of the kidneys, liver, gall bladder and digestive tract. Gluten-free. 4.4 oz. ORDER TODAY! Ingredients: Chanca Piedra (Phyllanthus Niruri And Phyllanthus Stipulatis) Leaves, Stems And Root. TEA: Royal Break-Stone Tea, 4.4 oz. • Instant Herbal Tea: Olbas Instant Herbal Tea is a delicious blend of 20 soothing herbs, enhanced with essential oils that make Olbas Remedies famous around the world. Made in Switzerland, Olbas Instant Herbal Tea provides a delightfully warm soothing feeling you will enjoy at anytime of the day or evening. Suitable for adults and children, and may be enjoyed hot or iced. Brings welcome relief from seasonal discomforts. 7 oz. Makes about 65 cups. ORDER TODAY! TEA: Instant Herbal Tea, 7 oz. Bravo Teas are based on the wisdom of Traditional Chinese Herbal Medicine, a natural holistic system that has been practiced for over 4000 years, cultivating health and wellness. The natural essences of the precious herbs in each of the teas are precisely woven with the smooth and energizing taste of Jasmine flowers to create a refreshingly balanced brew every time you enjoy a cup of Bravo Tea. Naturally caffeine free, gluten free, no artificial flavoring, no preservatives. Good for both hot and iced tea. • Reishi Liver Health: The remarkable Reishi Mushroom is often denoted to as the "mushroom of immortality". For centuries, this effective combination has been used in Traditional Chinese Medicine to nurture the liver, support liver detox and to encourage healthy liver functions. 20 bags. ORDER TODAY! Ingredients: Reishi Mushroom, Schizandra Berry, Goji Leaf, White Peony Root, Cuscuta Seed, Astragalus Root, Jasmine Flower. • Daily Immunity: Promotes Healthy Immune Functions. Astragalus and Isatis are the most common herbs used in Traditional Chinese Medicine during the cold and flu season. Made with precious herbs into an effective and calming blend to support overall healthy immune functions. 20 bags. ORDER TODAY! Ingredients: Astragalus Root, Isatis Root, Fo-ti Root, Privet Berry, Chinese Yam, Jasmine Flower. • Blood Pressure: Promotes healthy blood pressure. Made with Wild Apocynum Venetum with other prized herbs into a naturally delightful and calming combination to maintain blood pressure balance and healthy heart functions. CAUTION: Do not use if you have low blood pressure. 20 bags. ORDER TODAY! Ingredients: Apocynum Venetum Leaf, Solomons Seal Root, Gambir Stem, Salvia Root, Red Peony Root, White Mulberry Leaf, Figwort Root, Jamine Flower. • Cholesterol Health: Promotes Healthy Cholesterol Levels. Stable cholesterol levels may represent lower risks of heart issues. This time-honored combination of exclusive, effective herbs is used in Traditional Chinese Medicine to support blood circulation and healthy vessels, and to maintain normal cholesterol levels. 20 bags. ORDER TODAY! Ingredients: Hawthorn Berry, Ginkgo Biloba Leaf, Apocynum Venetum Leaf, Goji Leaf, Rhubarb Root, Astragalus Root, Jasmine Flower. • Kidney Strong: Healthy Kidney and Urine Metabolism. The kidneys are referred to in Traditional Chinese Medicine as the "fountain of youth". A distinctive and powerful combination of precious wild herbs, this time-honored formula has been used for centuries to maintain healthy kidney functions and urine metabolism. 20 bags. ORDER TODAY! Ingredients: Pyrrosia Leaf, Schizandra Berry, Oriental Waterplantain Root, Eleuthero Leaf, Galangal Berry, Euryale Seed, Macrocarpium Berry, Jasmine Flower. • Sugar Level: Promotes Healthy Sugar Levels. Sugar Level Tea encourages healthy sugar levels using the finest blend of herbs trusted for centuries by many different cultures. Made with White Mulberry Leaf with other precious herbs into a naturally delicious and calming combination to maintain healthy urine and blood sugar levels. CAUTION: Do not used if you have low blood sugar. 20 bags. ORDER TODAY! Ingredients: White Mulberry Leaf, Selfheal Spike, Cassia Seed, Atractylodes Root, Solomons Seal Root, Figwort Root, Jasmine Flower. • Sleep Better: Promotes Easy and Restful Sleep. Made with White Mulberry Leaf, Schizandra Berry and a combination of other precious herbs to provide a delicious flavor of Sleep Better tea. This ancient Chinese recipe is brilliant for relaxing your mind and nerves and to encourage a calm and restful sleep. 20 bags. ORDER TODAY! Ingredients: White Mulberry Leaf, Schizandra berry, Goji Leaf, Polygala Root, Fo-ti Root, Codonopsis Root, Jasmine Flower. • Herbal Tea Blood Sugar: Made from high quality herbs and Guavawhich can be consumed regularly to maintain a healthy blood sugar balance. 18 bags. ORDER TODAY! Ingredients: Guava Leaf, Bitter Melon Fruit, Licorice Root. • Herbal Tea Blood Pressure: Made from high quality herbs, Hawthorn and Ligustrum which can be consumed regularly to maintain a healthy blood pressure balance. 18 bags. ORDER TODAY! 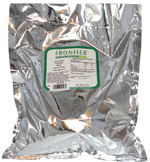 Ingredients: Hawthorn Fruit, Ligustrum Seed, Sophora Flower, Green Tea Leaf, Stevia Leaf. • Herbal Tea Cholesterol: Made from high quality herbs, Gynostemma and Hawthorn which can be consumed regularly to support normal Cholesterol level. 18 bags. ORDER TODAY! Ingredients: Honeysuckle Flower, Hawthorn Fruit, Sophora Flower, Gynostemma Plant. • Herbal Tea Peppermint Green Tea: Made from high quality herbs and Peppermint which brings invigorating and uplifting herbal tea experience. 18 bags. ORDER TODAY! 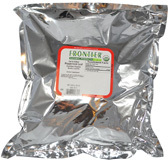 Ingredients: HawthornFruit, Ligustrum Seed, Sophora Flower, Green Tea Leaf, Stevia Leaf. • Tea Happy Cholesterol: Having balanced cholesterol is vital for cardiovascular health. Now it has been shown that drinking a tea made from the blend of botanicals found in Happy Cholesterol Tea can help reduce the bad cholesterol in your blood, if consumed on a regular basis. Happy Cholesterol Tea is not meant to replace any pharmaceutical drugs you might be taking, but to ease your blood cholesterol into a more manageable range. Drinking 2 to 6 cups of this tea daily fits into the range of other people that have reduced bad blood cholesterol. Known Adverse Reactions: May cause nausea, emesis, insomnia, fatigue, diarrhea, abdominal pain, confusion, chest congestion, dizziness, mild fever, perspiration, sore throat and increased respiration rate. Due to the caffeine content, high doses may cause nervousness, anxiety heart irregularities, headaches, tremors, hypertension, restlessness, insomnia, daytime irritability, irritation of the gastric mucosa, and diuresis. 18 ct. BUY NOW! • Tea Lower Pressure: Now studies have shown that the ingredients blended into Lower Pressure Tea may reduce blood pressure if consumed on a regular basis. Lower Pressure Tea is not meant to replace any pharmaceutical drugs you might be taking, but to ease your blood pressure into a more manageable range. Drinking 2 to 6 cups of this tea daily fits into the range of other people that have reduced their blood pressure. Known Adverse Reactions: Due to its caffeine content, high doses may cause nervousness, anxiety, heart irregularities, headaches, tremors, hypertension, restlessness, insomnia, daytime irritability, irritation of the gastric mucosa, and/or diuresis. May cause nausea, emesis, insomnia, fatigue, diarrhea, abdominal pain and/or confusion. 18 ct. BUY NOW! • Cinnamon Apple Spice: This invigorating blend offers a fragrant burst of sweet and spicy Vietnamese freshly ground Cinnamon and bushels of juicy, all-American Apples. Savor the toasty Chocolate note and a hint of creamy Butterscotch for a soothing and refreshing beverage! 20 bags. ORDER TODAY! • Country Peach Passion: Country Peach Passion, a naturally zero-calorie tea is made with sweet, juicy real American Peaches. Blended with soothing Mexican Chamomile and sweet Oriental Blackberry leaves to give a touch of universal flavor to a delicious all-American favorite you'll taste both hot and iced. 20 bags. ORDER TODAY! • Mandarin Orange Spice: This fragrant blend combines tart and juicy Oranges with aromatic spices like Cloves and Coriander to make a bright, energetic brew that conveys tea drinkers to exotic Asian destinations with every sip. 20 bags. ORDER TODAY! • Herbal Tea Chamomile Vanilla & Manuka Honey: Chamomile Vanilla & Manuka Honey Tea provides a delightful cup of calming organic Chamomile tea made refreshingly sweeter with exotic Vanilla and golden balm of Manuka honey. It's a cup that promotes stillness so you are renewed. With a sip, tranquility takes over. Enjoy your peaceful moments. 20 Tea Sachets. BUY NOW! • Herbal Tea Lemon Ginger & Manuka Honey: Lemon Ginger & Manuka Honey Tea helps create a moment of delight – a genuine embrace that will keep your spirits warm. Lemon Ginger & Manuka Honey Tea is made with the spicy-sweet zest of sun-ripe whole Sicilian Lemons, slow-dried Ginger Root, and FairWild Elderflowers. Finally the soft caress of Manuka Honey creates a cup of tea that gratifies your heart and body. 20 Tea Sachets. BUY NOW! • Herbal Tea Elderberry & Echinacea: Elderberry & Echinacea Tea is made with purple-black Elderberries, inky Blackcurrants, fragrant FairWild Elderflower and touched by the tingling notes of Echinacea. Safe in your fruity retreat, you'll be ready for anything. 20 Tea Sachets. BUY NOW! • Herbal Tea Peppermint & Licorice: Peppermint & Licorice Tea is blended with the FairWild Licorice Root, the minty brilliance of fresh Peppermint leaves. A sweet and deliciously refreshing delight. 20 Tea Sachets. BUY NOW! • Herbal Tea Rooibos & Honeybush: Rooibos & Honeybush Tea is a caffeine-free organic blend of color and flavor. Made with the copper-red radiance of fairly-traded Rooibos and the golden yellow of Honeybush. Sip, relish and come alive. It's the way to add some of life's natural color to your day. 20 Tea Sachets. BUY NOW! • Herbal Tea Star Anise & Cinnamon: Star Anise & Cinnamon Tea is made with the celestial Star Anise providing the organic sweetness and heavenly warmth hearten your soul, and the silky spice of fairly-traded Ginger and Cinnamon delight your spirit. 20 Tea Sachets. BUY NOW! • Herbal Tea Wild Apple & Cinnamon: Wild Apple & Cinnamon Tea makes you feel like you're dancing in a wild orchard. Made with Cinnamon, Ginger Root, spicy Clove, Chamomile flowers, sweet Orange, and Wild Apple. 20 Tea Sachets. BUY NOW! • Herbal Tea Love: Love Tea that expresses nature's gift of FairWild flowers that will love you every step of the way. A loving touch of Rose fills your heart. The soft hug of Chamomile and Lavender calm your soul. Love Tea made with love, devoted to love and called Love. Drinking a cup of Love Tea has more to it than just the delightful taste. 20 Tea Sachets. BUY NOW! • Herbal Tea Revitalise: Revitalise Tea helps awaken you and rejuvenate you. Revitalise Tea is made with spicy flash of Cinnamon, Ginger and Cloves, the aromatic pop of Cardamom and Orange, to the sparkle of Spearmint and Green Tea. Revitalise Tea comforts your senses back to life. 20 Tea Sachets. BUY NOW! • Herbal Tea Night Time: Night Time Tea helps calm you into a place of restful sleep and bring you back renewed for the world. Made with a sleepy crush of Oat Flower, soothing Lavender, and silky-sweet Limeflower, and the magic of Valerian. The ideal cup before bedtime for those who want a break from being a night owl. 20 Tea Sachets. BUY NOW! • Herbal Tea After Dinner: After Dinner Tea is a delightfully luxurious tea for soothing digestion after your meal. First, the splendid taste of roasted Chicory. Next, the calm of Cardamom blending with Aniseed, followed by sweet Fennel and Licorice. You'll find one slow sip following another. It could be the best course of the evening. 20 Tea Sachets. BUY NOW! • Herbal Tea Refresh: Refresh Tea helps clear out and balance your body and soul, leaving you relaxed and renewed. So cruise through your day with a calming splash of Peppermint leaf with the calmness of Sweet Fennel seed and Rose. Ideal after a meal to refresh your palate or anytime to revive your day. 20 Tea Sachets. BUY NOW! • Herbal Tea Relax: Relax Tea helps you to unwind, breathe and bathe in the calmness of Chamomile flower and the peaceful delight of Oat flowering tops, Fennel Seed and Marshmallow Root. A perfect way to relax in the evening or anytime during the day. Sit back and let tension drift away. 20 Tea Sachets. BUY NOW! • Herbal Tea Three Cinnamon: Three Cinnamon Tea helps obtain the swirling radiance of Cinnamon. Recline in the spicy sweet-heat of the world's finest three Cinnamons from Indonesia, Vietnam and India and feel their whole-hearted embrace enriching you with life. 20 Tea Sachets. BUY NOW! • Herbal Tea Three Fennel: Three Fennel Tea reveals the flavors and power of this remarkable herb as it should. Three Fennel Tea is made with the sweet Turkish Fennel Seeds, calmed with Wild Fennel and feathery Fennel Leaf. It's a cup that provides a feast of flavor to help calm your digestion and your soul. 20 Tea Sachets. BUY NOW! • Herbal Tea Three Ginger: When inner fires die out and yawns roam free, Three Ginger Tea helps rejuvenate with a feast of Spicy Ginger, sweet Galangal and golden Turmeric. Inner fire, prepare to glow. So come alight with this exquisite warming organic herbal brew. 20 Tea Sachets. BUY NOW! • Herbal Tea Three Mint: Grand mint, the refreshing champion of the palate. Three Mint Tea is the luxuriant blend of the finely-chopped Spearmint, Fieldmint and Peppermint – the cool suddenly becomes more energetic. The sweetness more supreme. And leaves you as crisp and clean as the brightest day. 20 Tea Sachets. BUY NOW! • Herbal Tea Three Tulsi: Tulsi (Holy Basil) is a sacred herb that shows you the way. Three Tulsi luxuriant Green Tulsi for cheerful clearness, then Purple Tulsi for uplifting the spirits, and to finish Lemon Tulsi with a zesty twist to encourage you onwards. 20 Tea Sachets. BUY NOW! • Herbal Tea Pau d' Arco: A Traditional South American Herbal Tea. Pau d'arco is the inner bark of a tall tree that grows throughout South America. Ask your medical herbalist or naturopathic physician of Ppau d' Arco tea is right for you. It has an earthy taste - woody, astringent and slightly bitter. 16 Tea Bags. ORDER TODAY! • Herbal Tea Green Tea Lemongrass: Green Tea Lemongrass tea is light and mildly stimulating, green tea is a healthy beverage. This green tea is hand plucked, steamed, rolled and dried. Energizing and mildly stimulating, with a low caffeine content is mellow, yet refreshing. Gently tannic, with pleasant lemony notes. 16 Tea Bags. ORDER TODAY! • Herbal Tea Spearmint: Spearmint Tea is an aromatic and refreshing beverage with its distinctly spearminty, mildly sweet flavor. Fragrant, sweet and minty. Combines well with honey or lemon. 16 Tea Bags. BUY NOW! • Herbal Tea Throat Coat: Throat Coat Tea is made with Slippery Elm or Ulmus rubra (lovely reddish inner bark) is a beautiful, native North American elm tree. Blended with Licorice and Marshmallow Root to help transport your voice to the spa—because all is needed a little comfort. Sweet and earthy, silky, with a distinct licorice taste. 16 Tea Bags. BUY NOW! • Herbal Tea Hibiscus: Hibiscus tea helps support the cardiovascular system, beautifully refreshing and delightful. Blended with Hibiscus, Blackberry leaf, and Lemongrass for a pleasant, tart, tangy, mildly fruity and lemony beverage. Tastes great with a sweetener added, sometimes with Lime or Lemon, and served iced or hot. 16 Tea Bags. BUY NOW! • Herbal Tea Green Tea Hibiscus: Green Tea Hibiscus helps maintain cardiovascular health, mildly stimulating. Made with revitalizing, tart and tangy taste Hibiscus and Green Tea, drunk for many thousands of years as a healthy beverage. Enjoy Green Tea Hibiscus iced or hot, and sometimes with lime or lemon and a little sweetener. 16 Tea Bags. BUY NOW! • Herbal Tea Lemon Balm: Lemon Balm tea is a gentle and mildly relaxing beverage that helps relieve tension and occasional indigestion. Pleasantly mild herbal taste, with delicate Citrus notes. 16 Tea Bags. BUY NOW! • Herbal Tea Green Tea Toasted Rice: Toasted Rice Tea (Gen Mai Cha) is a traditional Japanese green tea is blended with toasted rice is often served in restaurants. Toasted Rice Tea is a smooth rich brew with a nutty flavor and savory depth enjoyed at home. 18 bags. ORDER TODAY! • Herbal Tea Green Tea Ginger Lemon Decaf: Ginger Lemon Tea is combined with organic Sweet Lemongrass and revitalizing Ginger into an organic decaffeinated green tea. Ginger Lemon Tea encourages a sense of clarity and purity. This luxurious and energizing flavor is grounding as it calms the body and uplifts the spirits. 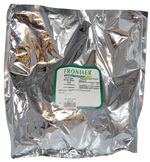 The CO2 decaf process is chemical-free and retains more flavor and health properties. 16 bags. ORDER TODAY! • Herbal Tea Green Tea Jasmine Green: Jasmine Green Tea is blended with aromatic organic Jasmine Flowers and organic Green Tea leaves as their aroma is naturally embraced. Fragranced three times, smooth Jasmine Green Tea has layers of delicate fragrance and hints of moonlight. 20 bags. ORDER TODAY! • Herbal Tea Green Tea Gunpowder Green: Whole leaf organic Gunpowder Green Tea is gently steamed and then rolled into small tight pearls. 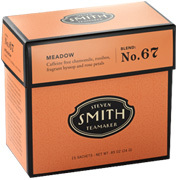 When steeped, the leaves unfold, releasing a well-rounded, full-bodied flavor. Rich in fluoride, calcium, and anti-oxidants and with very little caffeine, this is an ideal selection to greet the evening. 20 bags. ORDER TODAY! • Herbal Teasan Rooibos: Also called Red Tea, Rooibos is an herb original to the Cederberg region of South Africa. It has a profound, earthy Vanilla taste, is rich in antioxidants and known for its soothing affects. 18 bags. ORDER TODAY! • Herbal Teasan Rooibos Chai: Organic caffeine-free Chai blends rich Rooibos and a combination of spices. Zesty Cloves, Nutmeg, and Cinnamon blend with sweet Allspice, vivacious ginger and a kiss of Cardamom. Perfect with milk! 20 bags. ORDER TODAY! Turmeric is used as a balancing component for Ayurvedic diets and is related with many health benefits. Numi's Turmeric Tea is a healthy tea tonic to help invigorate, energize, renew, and can be sipped any time of day. • Herbal Teasan Turmeric Amber Sun: A smooth abundance releases through Amber Sun Turmeric Tea like a warm, healthy radiance. Blended entirely with real organic ingredients, this herbal tea is made with Turmeric, Rooibos, Vanilla Beans and a hint of Cinnamon, offering mellow apple notes with a sweet peppery zest. 12 bags. ORDER TODAY! • Herbal Teasan Turmeric Fields of Gold: Fields of Gold Turmeric Tea is made with the full-flavored richness of Turmeric, the sweet soothing notes of Chamomile, and the lively zest of Lemon Myrtle. This intense blend of 100% organic ingredients will delight you with its light, energetic flavor as it calms the spirit. 12 bags. ORDER TODAY! Herbal Teas contain blends made from flowers, bark, fruit, or leaves of any plant other than true tea (Camillia sinensis). Contains no caffeine. 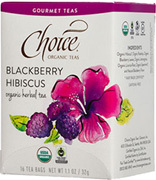 • Herbal Tea Blackberry Hibiscus: Steep an energetic, fruity beverage that greets festivity. With its tangy quality and sweet fragrance, this ruby-hued blend is the life of the party. The taste of Blackberry mixes with Citrusy Lemongrass as nourishing Hibiscus petals tango with tart Rosehips. A drizzling of Spearmint blends with a dash of sweet Licorice Root. This remarkable brew tastes like an herbal song to sangria and plays well with ice. 16 bags. ORDER TODAY! • Herbal Tea Chamomile Mint: Experience the calmness and reflection with Chamomile's sunny blossoms and aroma linger to provide satisfaction in a cup. Relaxing herbal infusion of Chamomile Mint is made with Spearmint leaves, Chamomile flowers and a touch of Italian Bergamot to reveal a slight Citrusy note. Warm up to a steamy cup or serve this honey-hued beverage over ice for an enriching glass of nourishment. 16 bags. ORDER TODAY! • Herbal Tea Chamomile: Delight yourself to a cup of peace and quiet. Cherished through the ages for its calming effects, this flower holds an honored place in herbal remedy folklore. Exclusive Egyptian Chamomile has a round, deep body and lingering sweetness with an refined, floral flavor. It's free of caffeine to create an oasis of calm. (Caffeine Free). 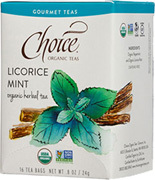 • Herbal Tea Licorice Mint: Pamper your senses with a grand beverage. The burst of intense Peppermint is softened by naturally Sweet Licorice Root to offer an appealing finish to this fragrant herbal brew. This full-bodied combination is smooth, silky, and appealing. Serve hot for a delicious, satisfying drink or over ice for an refreshing retreat from everyday iced tea. 16 bags. ORDER TODAY! • Herbal Tea Peppermint: Unwind with this cooling classic, grown on fertile volcanic hillsides in the Pacific Northwest of the United States. Made with the luxuroius Peppermint with a delicately fragrant, slightly spicy flavor. As a caffeine-free choice, it's both soothing and uplifting. (Caffeine Free). 16 bags. ORDER TODAY! • Herbal Tea Rooibos: Warm yourself to the heart with this earthy favorite. Rooibos is a caffeine-free herb native to South Africa, where it's been accepted for its therapeutic qualities for centuries. Russet-hued cup stands apart with splendor that stimulates Vanilla and Honey for an enjoyable way to relax. (Caffeine Free). 16 bags. ORDER TODAY! • Herbal Tea Vanilla Rooibos: Gratify your desires with a wholesome indulgence any time of day or night. Native to South Africa, the leaves of the red bush, known as Rooibos (pronounced roy-boss), blend into an earthy, rich, mahogany-hued herbal brew. A kiss of Sumatran Vanilla extracts the sweet honey notes in Rooibos for a cup that satisfies when served hot or over ice. 16 bags. ORDER TODAY! Organic Herbal Teas are naturally caffeine-free - the perfect choice for when you want a soothing, relaxing drink. • Organic Herbal Tea Ginger: 100% pure Herbal Ginger Tea is naturally caffeine free. It is sweet and rich in flavor with a warming, peppery Ginger finish. Drink to calm, relax or revitalize mind and body alike. 20 bags. ORDER TODAY! • Organic Herbal Tea Peppermint: Renew yourself with the revitalizing fragrance and flavor of Peppermint. Cooling and vibrant. Caffeine free. 20 bags. ORDER TODAY! 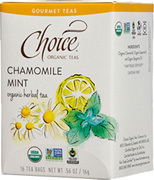 • Organic Herbal Tea Chamomile: Soothing Egyptian Chamomile calms the mind and alleviates the spirit. Find your inner peace. Caffeine free. 20 bags. ORDER TODAY! • Organic Herbal Tea Rooibos: Rooibos Tea is the botanical brew of the Rooibos plant from South Africa has the flavor of tea but is amazingly caffeine free. 20 bags. ORDER TODAY! • Organic Herbal Tea Rooibos Chai: Naturally caffeine free, Rooibos Chai is blended with the rich, earthy, and vanilla notes of Rooibos with a revitalizing combination of spices from Sri Lanka. 20 bags. ORDER TODAY! 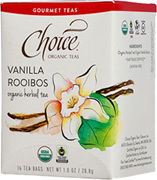 • Organic Herbal Tea Rooibos Vanilla: Sweet, delightful Vanilla accents this red bush tea from South Africa. Rooibos Vanilla Tea is almost like dessert in a cup. Caffeine free. 20 bags. ORDER TODAY! • Herbal Tea Cinnamon Apple Chamomile: Spicy Cinnamon and juicy Apple perfectly balance each other in this alluring combination that effects hot apple pie to mind. Experience the flavor with none of the calories! A hint of Chamomile adds a calming touch to this fascinating, fragrant tea. Naturally caffeine free. 20 Tea Bags. ORDER TODAY! Ingredients: Cinnamon, Hibiscus, Chamomile, natural Apple flavor. • Herbal Tea Chamomile: Chamomile infuses a lovely golden cup with a subtle, classic apple-like flavor and aroma. It is a calming beverage that is good any time of the day, but especially comforting in the evening. It is naturally caffeine free. 20 Tea Bags. ORDER TODAY! • Herbal Tea Meyer Lemon: A herbal combination of Rosehips, Lemongrass, Orange peel, Hibiscus, Meyer Lemon oil and Safflower. Meyer Lemons are a fusion between a Lemon and Mandarin Orange. They are a burst of Lemon flavor without the tartness. The juicy lemony taste and perfumed aroma of this tea is a enjoyment any time of day, hot or iced. Naturally caffeine free. 20 Tea Bags. ORDER TODAY! Ingredients: Rosehips, Lemongrass, Orange peel, Hibiscus, Citric acid, Meyer Lemon oil, Safflower. • Herbal Tea Lemon Ginger: Lemon Ginger is an stimulating combination of Ginger root, Lemongrass, Lemon flavor, Safflower, Hibiscus and Citric acid. This energetic herbal tea provides wide-awake flavor without any caffeine. It blends with the tangy taste of Lemon with the sharp, lasting bite of Ginger, making it a great sipping drink. Add a bit of honey for a sweeter, smoother drink. 20 Tea Bags.ORDER TODAY! Ingredients: Ginger root, Lemongrass, natural Lemon flavor, Hibiscus, Citric acid, Safflower, natural Ginger flavor. 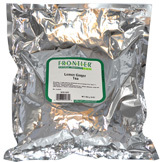 • Herbal Tea Licorice Spice: This exclusive nectar-like tea is one of our most popular blends. Licorice, a root sweeter than sugar cane, has been combined with Cinnamon, Orange peel, Star Anise, and Sarsaparilla for this delightful herbal tea. The naturally sweet dessert-like qualities of Licorice Spice make it an ideal after dinner tea. Caffeine-free. CAUTION: Licorice root is not intended for use during pregnancy and while nursing, or if you have heart disease or high blood pressure. 20 Tea Bags. ORDER TODAY! Ingredients: Cinnamon, Licorice root, Orange peel, Star Anise, natural Vanilla flavor, Sarsaparilla, Orange oil, natural Cinnamon flavor, natural Clove flavor, Cardamom oil. • Herbal Tea Mango Passionfruit: Mango Passionfruit herbal tea is made with the fruity ingredients such as Rosehips, Orange peel, Hibiscus and Lemongrass, and combined them with the naturally sweet flavor of Mango and the tropical flavor of Passion Fruit. Sweetened with Licorice powder, the result is a colorful and fragrant combination that brews up a bright red-orange in the cup with the distinctive flavor of fresh Mangoes and Passion Fruits. It is delightful hot or iced and naturally caffeine free. 20 Tea Bags. ORDER TODAY! Ingredients: Rosehips, Orange peel, Lemongrass, Hibiscus, Safflower, natural Mango flavor, Citric acid, natural Passionfruit flavor, Licorice powder. • Herbal Tea Peppermint: Acquires the subtle, rejuvenating, mouth-tingling flavor of Peppermint. Naturally caffeine-free, its strong menthol flavor will refresh your mouth. Excellent after meals. 20 Tea Bags. ORDER TODAY! • Herbal Tea Chamomile Nights: Unwind, brew a cup of Chamomile Nights and experience the calmness and comfort. Sweet and smooth, this tea provides just the right combination of natural herbs and flavors you need after a hectic day. Delight yourself to this golden-in-the-cup tea and purely relish. 20 Tea Bags. ORDER TODAY! Ingredients: Chamomile, Spearmint, Lotus leaves, natural Lotus flavor. • Herbal Tea Wild Raspberry: A fascinating blend with lightly sweet and aromatic flavor of freshly picked Raspberries. Combined with the red Hibiscus, Lemongrass, Orange peel and Rosehips. Added pure, natural flavor from fresh, ripe Raspberries. Delivers a bold fruity herbal tea that is both sweet and tangy. As it is naturally caffeine-free, this tasty beverage can be relished any time of the day and makes a great thirst-quenching iced tea. 20 Tea Bags. ORDER TODAY! Ingredients: Hibiscus, Lemongrass, Rosehips, Orange peel, Licorice root, natural Raspberry flavor. • Herbal Red Tea Strawberry Pomergranate: Enjoyably sweet and tart at the same time, Strawberry Pomegranate Herbal Tea is a enjoyable addition to your tea collection. Its energizing flavor is naturally heartening --- no need for caffeine here. This blend also includes antioxidant-rich Rooibos, known as Red Tea. Delectable hot or iced. 20 Tea Bags. ORDER TODAY! Ingredients: Rooibos, Rosehips, Hibiscus, Raspberry leaves, natural Pomegranate flavor, natural Strawberry flavor, Citric acid. Herbal Tea Hibiscus Flowers: Hibiscus flowers are popular as an herbal tea which imparts a cheery red color and tart floavor. • Herbal Tea Hibiscus Flowers Organic: 1 lb. Bulk Bag. BUY NOW! • Herbal Tea Hibiscus Flowers: 1 lb. Bulk Bag. BUY NOW! Herbal Tea Red Raspberry Leaf: Red Raspberry, aslos known as European Raspberry, is a perenial native to Europe and Asia. Though most recognized for it's delicious fruits, a tea prepared from the leaves is often used as a tonic for women. • Green Tea Red Raspberry Organic: 1 lb. Bulk Bag. BUY NOW! 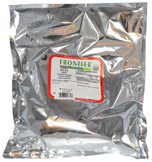 • Green Tea Red Raspberry Leaf: 1 lb. Bulk Bag. BUY NOW! Herbal Tea Peppermint: Wonderfull as an after-dinner tea and to sweeten your breath. • Herbal Tea Peppermint Leaf Organic: 1 lb. Bulk Bag. BUY NOW! • Herbal Tea Peppermint Leaf: 1 lb. Bulk Bag. BUY NOW! Herbal Tea Spearmint Leaf: Spearmint makes a refreshing herbal tea iced or hot. • Herbal Tea Spearmint Leaf Organic: 1 lb. Bulk Bag. BUY NOW! • Herbal Tea Spearmint Leaf: 1 lb. Bulk Bag. BUY NOW! TEA: Herbal Tea: Hibiscus Flowers Organic, 1 lb. TEA: Herbal Tea: Red Raspberry Leaf Organic, 1 lb. TEA: Herbal Tea: Peppermint Leaf Organic, 1 lb. 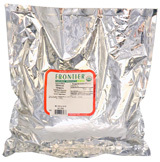 TEA: Herbal Tea, 1 lb. TEA: Herbal Tea: Spearmint Leaf Organic, 1 lb. • Herbal Tea Rooibos Tea Organic: Rooibos is a mild, reddish-brown tea rich in antioxidants. Naturally caffiene free, this slightly sweet and nutty brew can be enjoyed any time. 1 lb. BUY NOW! Ingredients: Lemon Balm leaf, Chamomile flowers, Basswood blossoms, Rose petals, Lavender leaf and flower, Skullcap. • Herbal Tea Chicory Root Organic: (Roasted Granules) Make your own "New Orleans style" coffee by using up to 30% chickory mixed with ground coffee. Chickory produces a more "roasted" flavor, with no caffiene. 1 lb. BUY NOW! Ingredients: Lemongrass leaf, Lemon Balm Leaf, Lemon Verbena leaf, Oats and Oatstraw..
• Herbal Tea Licorice Root: Licorice is the root of a prerenial herb native to Europe and Asia. 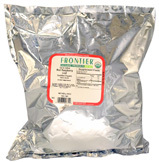 Along with its popularity as a flavoring agent in foods and beverages, it is often used as a vitalizing herbal tonic. 1 lb. BUY NOW! Ingredients: Tulsi/Holy Basil leaf, Basswood Linden Leaf, Rose Petals, Sage Leaf. • Herbal Tea Lemon Ginger Tea: Our unique lemon ginger tea is a fragrant melange of green, grassy blades of Lemongrass, Orange peel and Coriander seeds. The intense, sweetr, fruity aroma and flavor comes from a spritz of 100% pure lemon oil. 1 lb. BUY NOW! Ingredients: Roasted Chicory root, Ginger root (non-sulfited), Lemongrass, Orange peel, Lemon essential oil, Hibiscus, Coriander seed, Cinnamon..
• Herbal Tea Yerba Mate Leaf: Yerba Mate is prized as a delicious, gently energizing herbal tea. The flavor of the natural leaf is herbaceous and somewhat the Green Tea. 1 lb. BUY NOW! TEA: Herbal Tea: Rooibos Tea Organic, 1 lb.